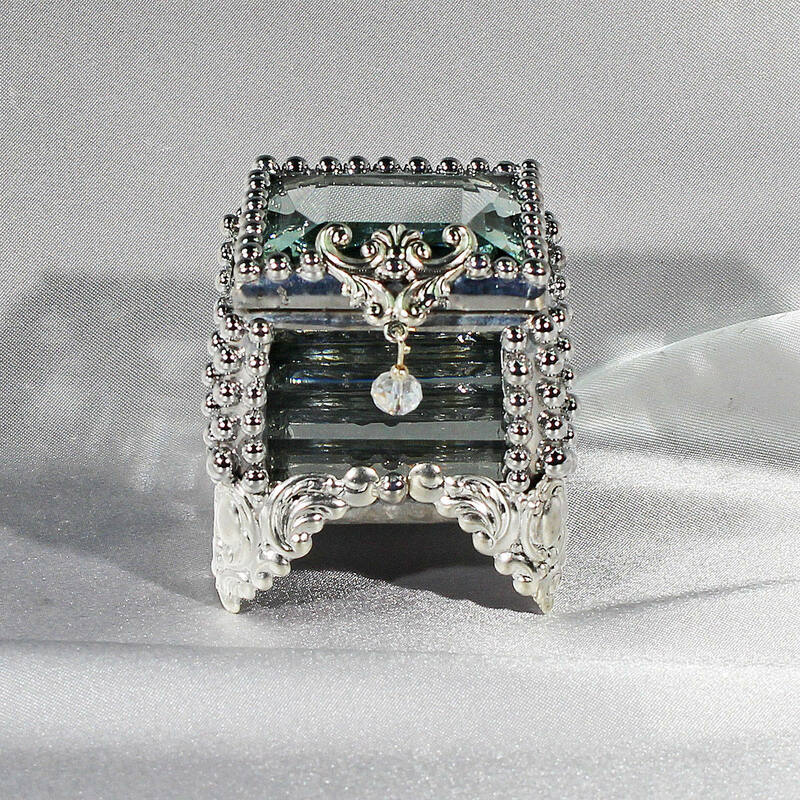 Inside measurements 1.25"x 1.25" x 2"
High dome multi faceted beveled ring box. Using traditional jewelry making techniques each bead is made individually with melted metal. 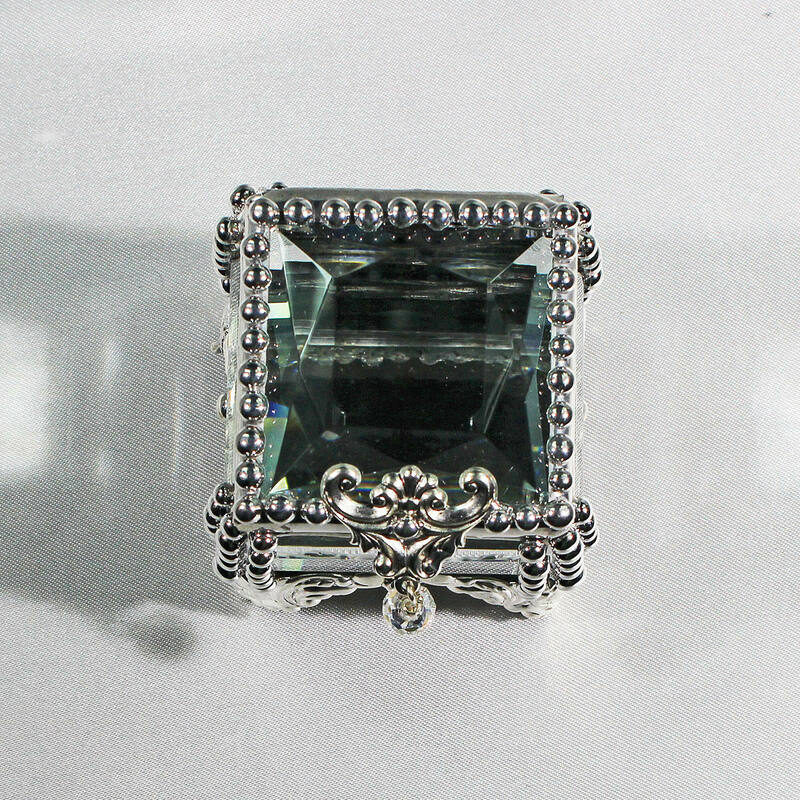 Hand cut beveled sides have a double line of refraction designed to enhance and magnify anything placed in the box. 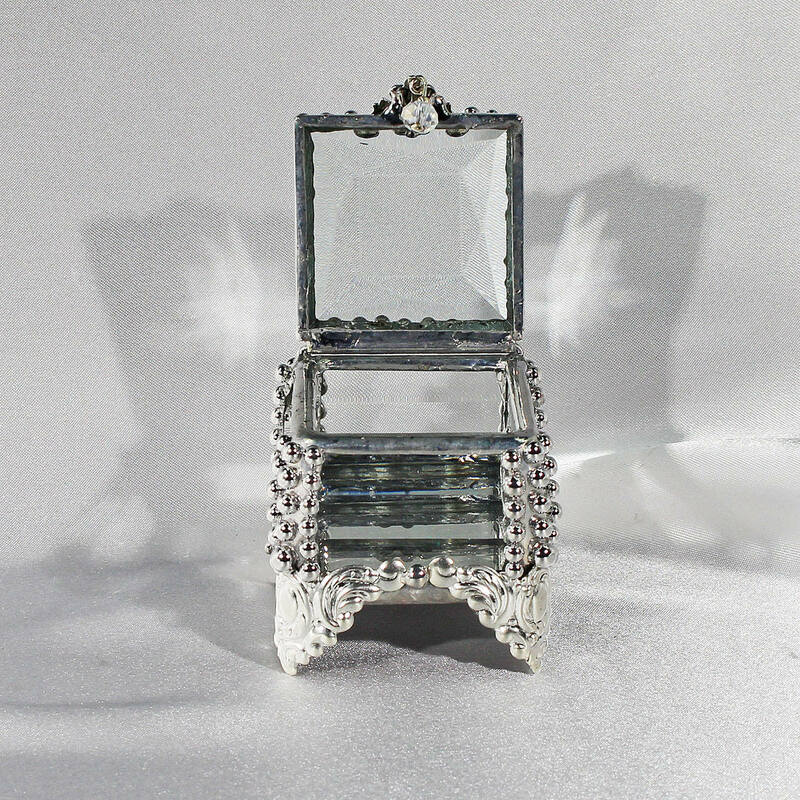 The mirror base completes the piece reflecting light throughout the box.